SHADOWHUNTERS - "A Kiss From A Rose" - Continuing to track down information on the rumors about misconduct at The Clave’s downworlder prison, Isabelle asks Alec for help. 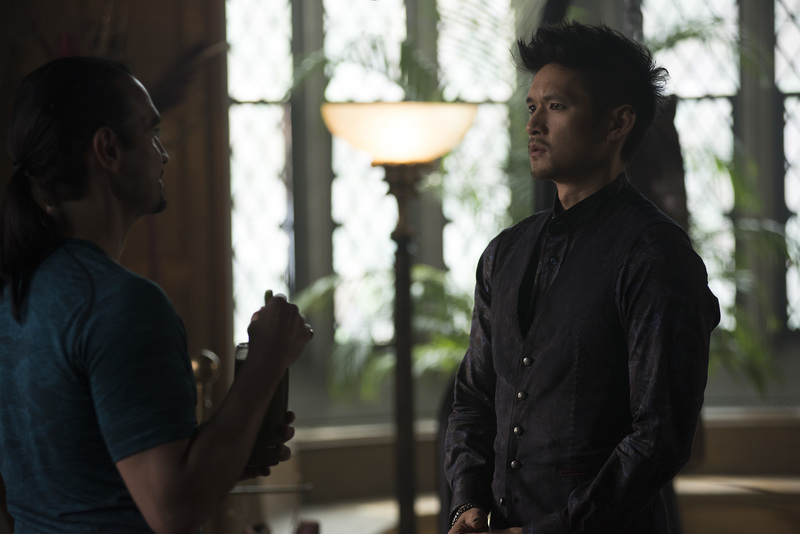 Meanwhile, Magnus succumbs to asking Lorenzo for a favor and Jace takes Clary on a special date. This episode of "Shadowhunters" airs Monday, March 18 (8:00 - 9:01 P.M. EDT) on Freeform. (Freeform/John Medland)JAVIER MUNOZ, HARRY SHUM JR.